Published: Sept. 24, 2015 at 05:24 p.m.
Cleveland Browns quarterback Brandon Weeden is picked off by New York Giants defensive back Stevie Brown for a 46-yard return. Published: Oct. 8, 2012 at 05:47 a.m.
(4:00) B.Weeden pass short right intended for J.Gordon INTERCEPTED by S.Brown [C.Blackburn] at NYG 14. 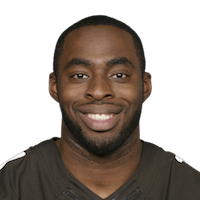 S.Brown pushed ob at CLV 40 for 46 yards (C.Ogbonnaya).